Rini was founded in 1983 with the business idea to develop ergonomic products and solutions primarily for manufacturing industry. These included smart work tools to reduce Rini buildning stress injuries when assembling circuit board and other electronic equipment. Since the middle of 1990 Rinis market focus shifted more and more towards the medical field thanks to fruitful collaborations with a number of hospitals and clinics in Sweden. The interest to optimize the workflow with doctors and patient in focus was big and Rinis innovative ergonomic solutions made a perfect match. When it comes to ergonomics Swedish customers been forerunners. With increased ergonomic awareness around the world became a natural step for Rini, in the beginning of 2000, to expand its business internationally. 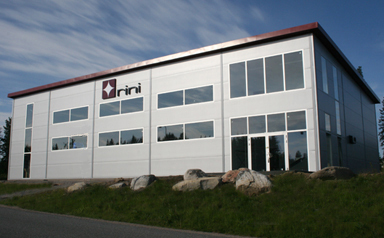 At the end of 2005 Rini got new long term owners and a new management team. A team that is committed to continue to develop Rinis successful business strategy. We are very proud to be able to offer our products and solutions so doctors and treating personnel get the most efficient and comfortable work environment as possible.